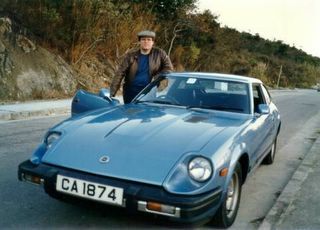 My favourite car of all time - the Datsun 280ZX, known in Hong Kong as the Fairlady. Bought this car used with my first pay cheque after entering the private sector. It had four different tires, and almost killed me when I spun out going around a corner on my way home from the dealer in the New Territories. After putting Michelins on it, performance was fantastic. Picture was taken in 1987.